Tag Archives: Lord Derby’s Scheme. 2ND MAR. 1916: ‘FORCIBLE LETTERS’ RE ‘A COMMISSION IN 3/5TH STAFFORDS’. 29th Feb. Mon: 9.30 am. Battalion marched to new billets at OCCOCHES (1). 1st Mar. Wed. – 2nd Mar.Thur. OCCOCHES BILLETS: Battalion Training.. In the Field. 2/ 3/ 16. Yesterday I handed in my application form for the Com. in the 3/ 5 South Staffs Regiment (3). I told the Captain you would see to the other form signed by the C.O. of the 3/ 5. (4). I was also told I needed my Birth Certificate. Of course I guess you will be only too eager to attend to any other necessity. This morning I carried away the Platoon’s Post; quite a shoal of letters, but they were all of an early date being those addressed to the Notts & Derby’s. I thank Ida for her very kind letter of Sunday 14/ 2 /16 and the one dated the Friday following (5). I also received Mother’s of Feb 14 and her’s of New Year’s Day. 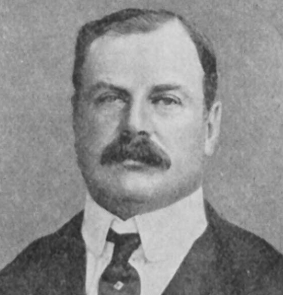 Edward George Villlers Stanley. 17th Earl of Derby 1865-1948. I will reply to Ida’s & Harold’s letters at my first opp. (We are on the move again). Every success to Sydney’s Commission & Best love to all. PS You all want me to say more ‘aboot me sen’. Well all that I can say is that Je suis tres bien portent et tres heureuse beaucoup. Compris? My handing in the form was partly due to Mum’s forcible letters. I will send those letters of Sydney’s, which Mother sent me in the parcels, in my next green (8). My Grandmother’s ‘forcible’ letters were the result of months of anxiety over the health and whereabouts of her two sons. 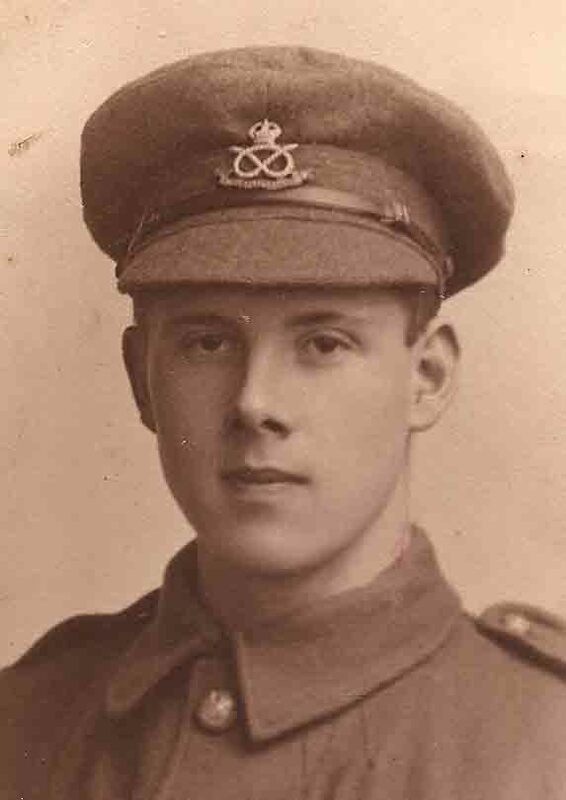 By March 1916, Pte Bertie Hibbett had been at the Front without Home Leave for a year. Since enlistment he had been in Hospital several times with ‘trench foot’ and ‘blood disorders’. She must have argued that a Commission in one of the Reserve Battalions at Home would take him out of the firing line, improve his health and give him work more suitable to his abilities & background – and importantly, of course, give the family a chance to see him. My father had already informed his family that he felt the life of an Officer was not for him. His reluctance to apply for a Commission appears also to have been influenced by a sense of loyalty to his pals at the Front and his wish to be near his brother Sydney until the end of the War. (1) Occoches: a village commune in Picardie, Somme. An 8 mile march from Prouville. (3) 3/5th Bn & 3/6th Bn South Staffordshire Regiments were formed at Home Bases in 1915 as ‘third line’ units. On 1st Sept 1916, they were united as ‘3/5th Bn.’. 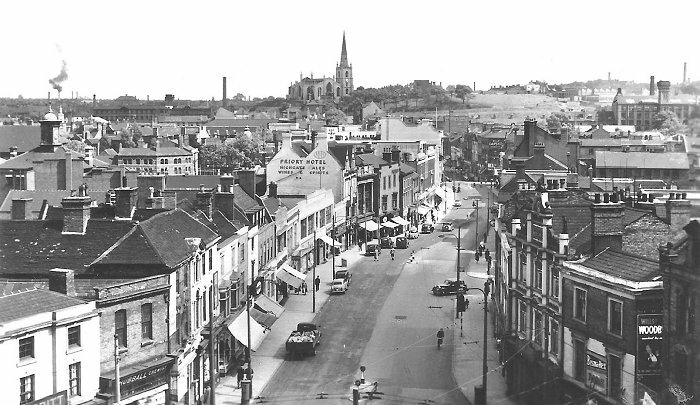 Interestingly (in view of my father’s later connection with Lincolnshire), in 1917 3/5th Bn moved to Lincoln & Mablethorpe; in 1918 to Lincoln again & Sutton on Sea, ending the war at Mablethorpe, November 1918. (4) Name pending. (5) Date on envelope rather than on letter as Sunday was 13th Feb. (6) Penarth. A Victorian resort in Vale of Glamorgan, 5 miles south-west of Cardiff. 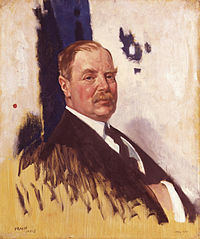 (7) Lord Derby: Secretary of State for War 1916-1918. Lord Derby’s Scheme. The National Registration Act for Military Service was initiated by Lord Derby, and passed on 15th July 1915. It required all men, between the age of 18 and 65 years, to register their residential location on 15th Aug.1915. See Hibbett Letter, 21st Oct. 1915. 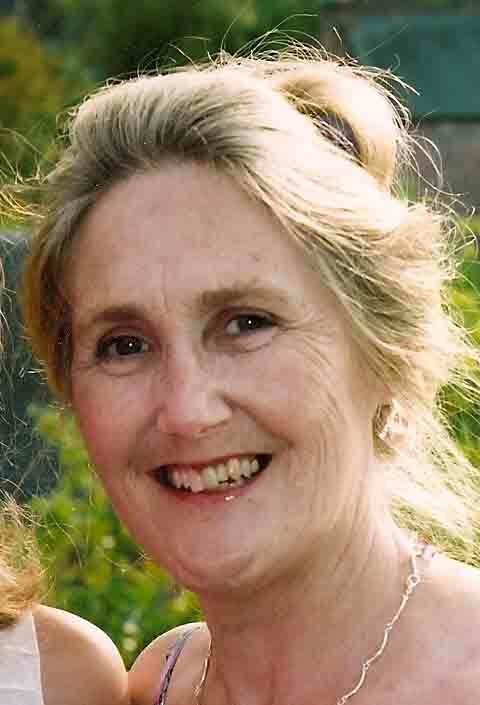 Ida Hibbett was an admin volunteer in Walsall. See also: <http://www. 1914-1918.net/derbyscheme> and < http://www.firstworldwar.com/atoz/derbyscheme.htm&gt;. R.G.A. Royal Garrison Artillery. (8) Green Envelope. Official envelope/Army’s attempt to speed up censorship of letters sent home in 1915. 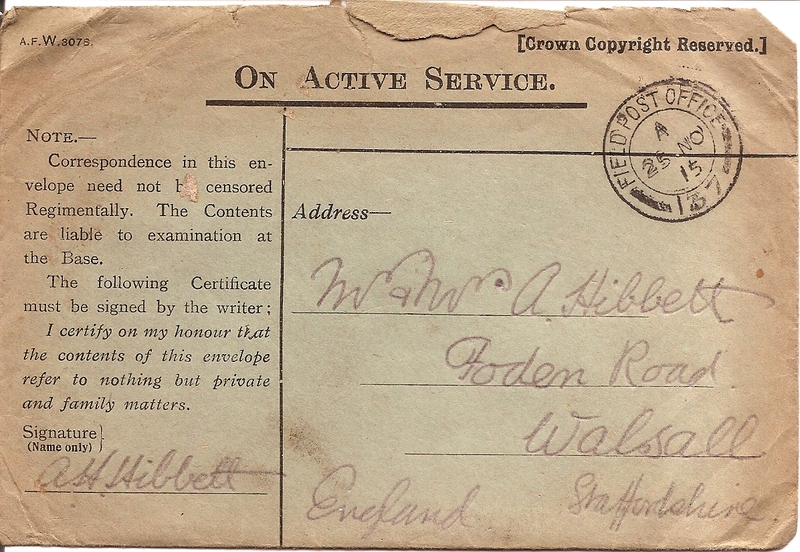 Soldier signed on back: I certify on my honour that the contents of this envelope refer to nothing but private and family matters. See esp. Hibbett Letter: 17th April 1915. NEXT POST: 5th March 1916. 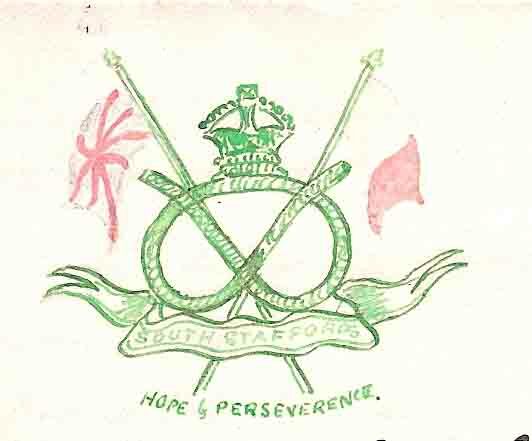 Commission Application 3/5th South Staffords.Green Envelope.Lord Derby's Scheme.Notts & Derby Regt. 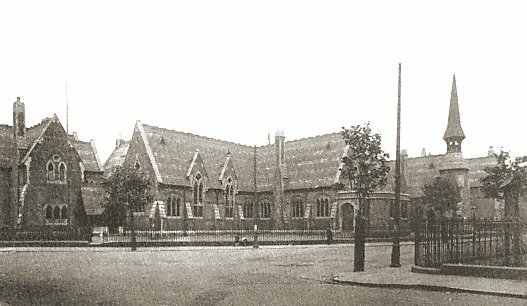 1916.R.G.A.R.G.A. Royal Garrison Artillery.